Not my mom. Photo courtesy of Flickr Creative Commons: Christchurch Star Home Ed. May ’68. 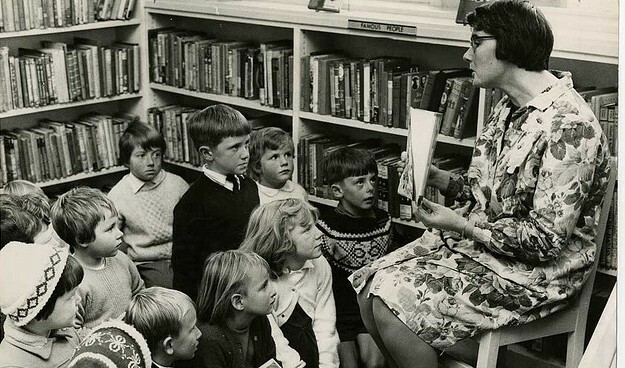 I grew up with a mom who was a children’s storytime librarian. 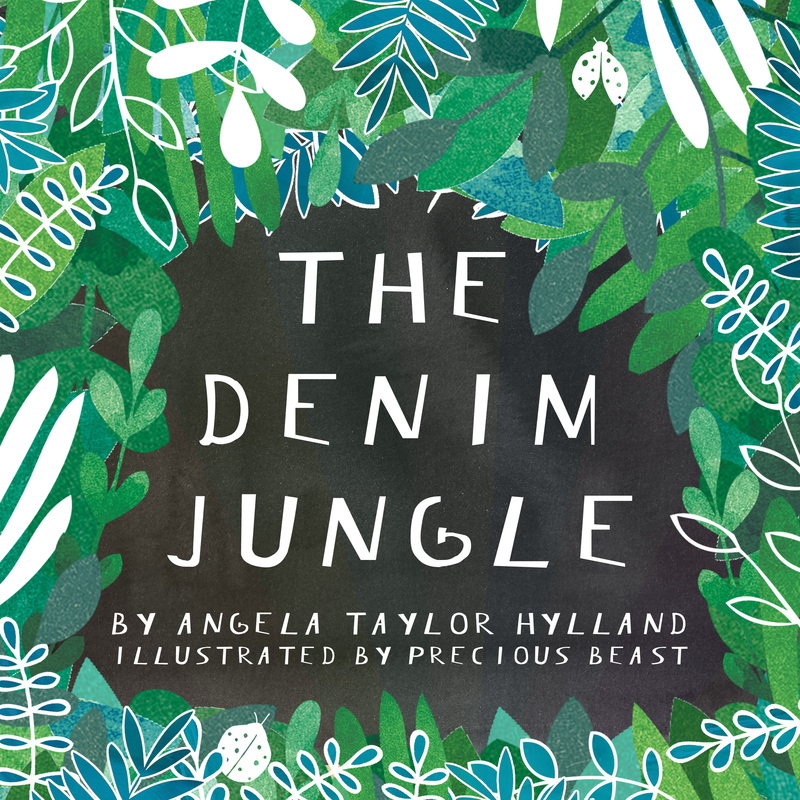 So I can’t really pick up a kids’ book without brainstorming ways to make it interactive. The first idea below is my mom’s all-time favorite, and the others I whipped up for two of my 3 year old’s (and my) favorite kids’ books. 1. Cut an egg carton into cups. 2. Turn them upside down, so the open part is facing down. 3. Have your child paint it, either to match the caterpillar in the book or a way uniquely their own. 4. Once dry, connect the painted cups with a pipe cleaner. 5. Paint, draw, or glue on eyes. 6. 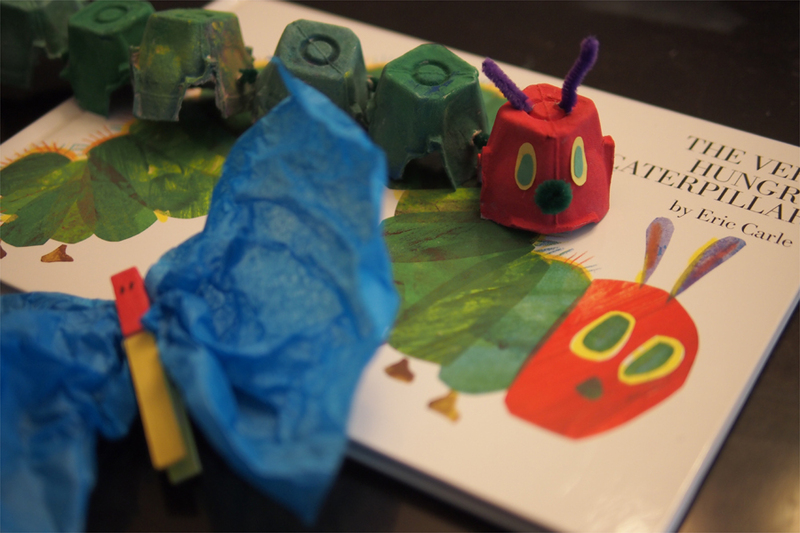 Let your child pretend his or her caterpillar is eating through all the foods as you read through the book. Bonus idea: Use a painted clothespin to pinch a bit of tissue paper, and you have the butterfly, too! 1. 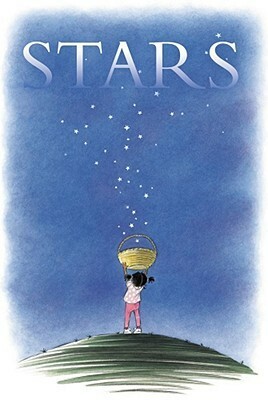 Cut a star out of firm cardstock or a foam sheet. Note: I cheated and bought a pack of cheap, pre-cut foamies at Joann Fabrics. 2. Have your child decorate it with stickers, markers, or foam sheet cut-outs. 3. Read the book together. 4. 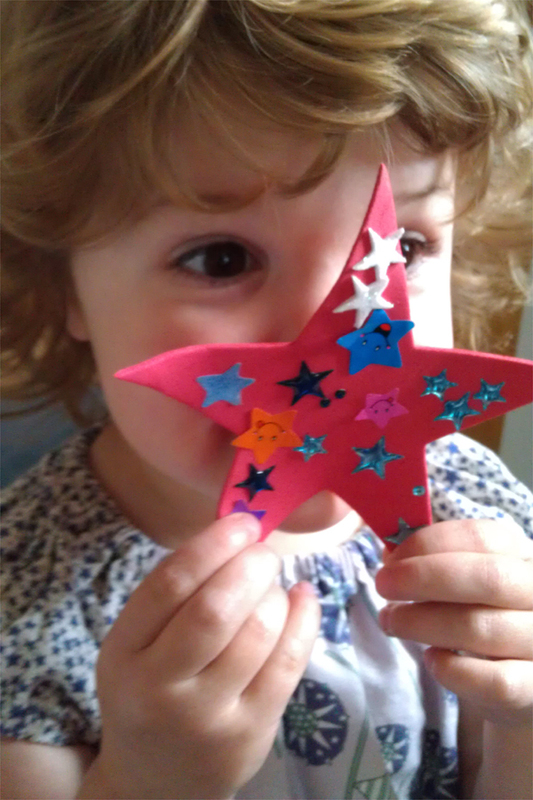 Explain that this is your child’s very own star, to keep in their pocket or somewhere special, for days when they’re feeling not-so-shiny. 1. Take a walk outside with small container, sack, or bucket. 2. Gather “treasures” from nature: leaves, twigs, acorns, lavender, pine cones, etc. 3. Lay your treasures out on a table. 4. Gather any additional accessories you have on hand: googly eyes, puff balls, glitter, paint, etc. 5. Design a creature (or two or three!) with various pieces. 7. Take a picture of your creations and print it. 8. 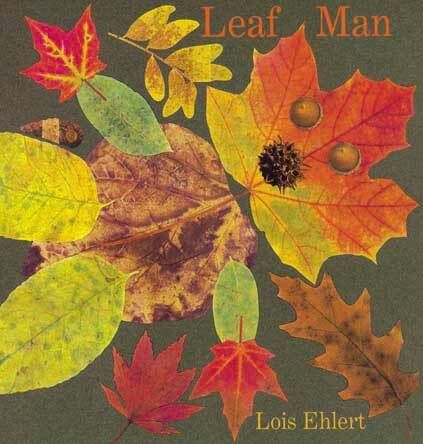 Read The Leaf Man together, and paste the picture of your creatures in the back. Make sure to note the date and the child’s age, too—you could even give your creatures names and “stats”! 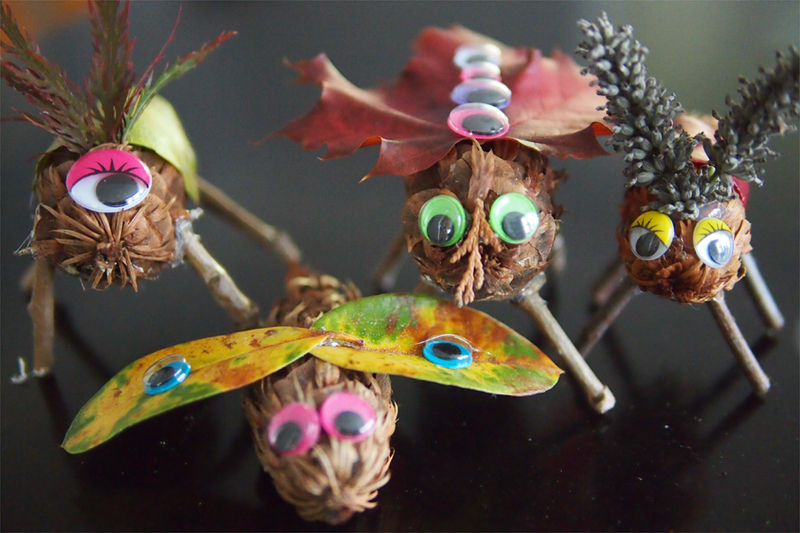 Add pictures of the new creatures you make each year.